880 Humidifier Filters. Humidifier filters for all plate type whole house humidifiers. 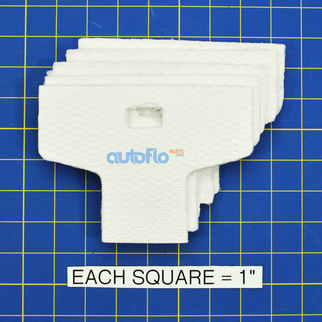 Fits AutoFlo, General, Homart, Lau, Viking, Skuttle, Wetwing and many more. Kit contains 5 humidifier plates. Also known as part 017100 and part 017050. NOTE: This item must be replaced at least once per year. Washing it out to try to reuse it is not recommended.